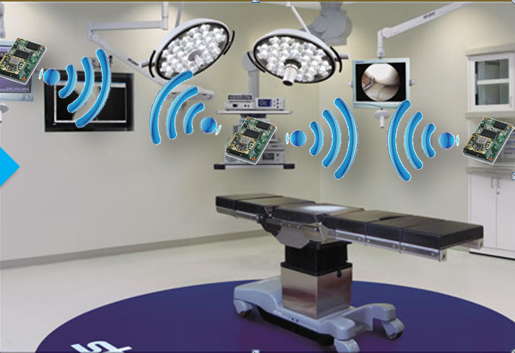 Replace wires with wireless technology to eliminate clutter in operating rooms. Reduce wireless congestion in operating rooms, especially on the 5GHz band, that was causing interference and impacting the wireless equipment performance quality used in critical procedures. 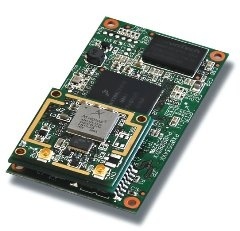 Using Silex Technology’s high-performance dual-band 802.11n “intelligent” wireless embedded module – the SX-580, the previous version of the new SX-590 module – Stryker was able to address both the challenges mentioned above. Stryker is one of the world’s leading medical technology companies and, together with its customers, is driven to improve healthcare. Modern operating rooms have many devices traditionally connected with wires, and these wires can create a hazard for doctors and patients. 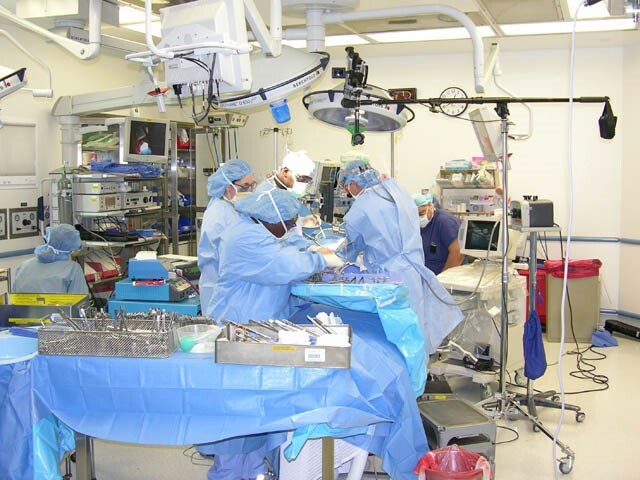 In addition, skilled technicians are required to set up the operating room for each surgical procedure, increasing the time it takes to prepare for a surgery. In many of these operating rooms, Stryker transmits endoscopic surgical video wirelessly, so it is very important to assess the RF bands prior to, and during, surgery. Stryker needed a reliable Wi-Fi solution for these mission-critical applications. Not only did they need a fail-proof solution but also a dependable partner with wireless expertise who can help with the integration in the development process. As a worldwide supplier of premium connectivity solutions, Silex Technology was the ideal candidate to address these challenges. Stryker used Silex Technology’s SX-580 embedded intelligent module, which provides a complete solution for integrating wireless networking technology into virtually any OEM product that has an RS-232 or UART serial port. It has a main-printed circuit board that contains a processor, memory, flash memory, and serial ports, plus a USB V2.0 host port and an SPI port. It is the “Swiss army knife” of Silex connectivity solutions. Building on more than 40 years of hardware and software connectivity know-how and IP, custom design experience, and manufacturing capabilities, Silex brings value to customers with a foundation of technical expertise. At Silex, our wireless experts can create a customized, reliable network connectivity solution for specific requirements, and support our clients from design through deployment. Configuring a SX-580 so Stryker could use it as a wireless UART device control. Wireless device control eliminates clutter and wiring in the operating room. Pumps, saws, ventilators, and other medical equipment can be moved more quickly and easily into the operating room as needed. The result is a safer, more efficient operating room. Enabling the SX-580 to listen for sources of RF interference that would degrade the performance of the system. This feature allowed them to avoid or correct interference, ensuring optimal performance. With such a custom application, a substantial amount of support was also required. Silex and Stryker worked together to build and develop custom applications for this project. This kind of support provided flexibility and versatility to the solution. Silex prides itself for providing premier customer support. Silex customers gain direct access to Silex engineers, showing Silex’s commitment to understanding and investing in a mutually beneficial relationship. Today, Stryker is known as the leading manufacturers of medical patient handling equipment for hospitals and emergency/rescue operations. Silex’s contribution helped to make this possible because of its reliable wireless technology and above-and-beyond support.